It’s time! The Four-Piece Wardrobe online class–also known as the Fall Wardrobe e-course–is now open for registration! This class is a course in sewing with commercial patterns, both the Big Four (Vogue, Simplicity, McCall’s and Butterick) and those produced, in print, by indie pattern companies (like Colette, Anna Maria, and Sewaholic). While we can’t sew something from ALL of these companies in the space of five weeks, we can cover the basics of how to read a pattern, decipher the instructions, and assemble a garment that you can be proud of–all step-by-step and in a nurturing, communal atmosphere! I have seen more and more stitchers take on garment sewing over the past five-ish years, and I am THRILLED beyond measure to watch it. 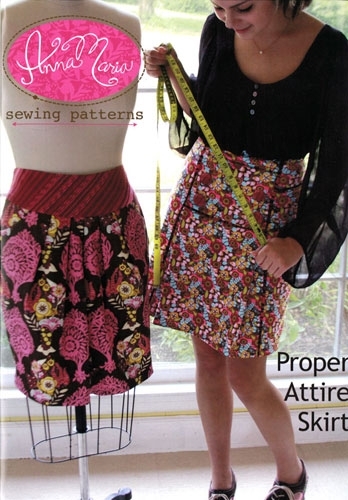 This class is an out-growth of my Patterns class that I’ve been teaching in person since 2008 and is designed to really give you the foundational skills to confidently and joyfully approach sewing garments from store-bought printed patterns (and even some PDF downloads) using key techniques and skills. 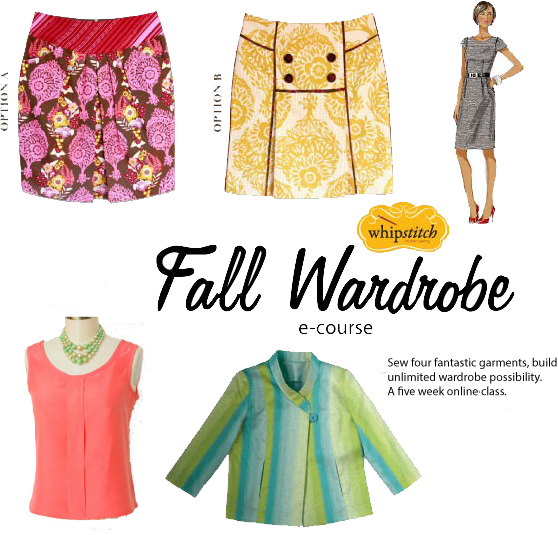 See all the details on the Fall Wardrobe e-course detail page, and snag a spot while you can! I have had emails coming in the past few weeks with folks chomping at the bit to join me this year as we make these garments–a woven dressy shell top, a sweet little piped skirt, a smart city jacket, and a brand-new fitted-and-flared lined dress with pockets. You’ll love them all and wear them all, and even more importantly, you’ll make friends and cement techniques that will last you far longer than the weeks of the class. Come on over–the water’s fine!